Making memories that will last forever is easy to do when you spend spring break in the Blue Ridge Mountains. For those who live anywhere in the Southeast, Blue Ridge is close by. Only 90 miles north of Atlanta, and yet, a world away. There is literally something for everyone to do here, whether you love the outdoors, like trying to outwit feisty fish, can’t get enough gorgeous scenery, are always seeking great culture and art and food, or even if you just want to kick back and relax, Blue Ridge has exactly what you are looking for. Including beautiful and conveniently located spring break cabin rentals throughout the mountains! If hiking is your thing, there are seemingly endless trails that snake throughout the Chattahoochee National Forest. From gentle walking paths to seriously challenging climbs, there are scenic pathways for every skill and fitness level. Hike through some of the most gorgeous mountain scenery you can imagine, with flowing waterfalls, gentle streams and creeks, spectacular waterfalls and lush green forest, as far as the eye can see. You may also enjoy horseback riding, zip lining and more. The younger set will love following the Trout Adventure Trail along the historic trails in the Chattahoochee National Forest. Plan your own adventure, or join a group while exploring the nature filled splendor of our amazing forests and waterways. 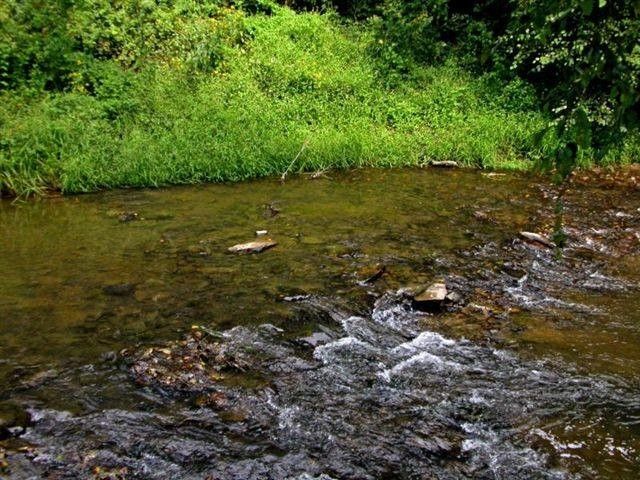 For the lake lover, Lake Blue Ridge and the world famous Toccoa River offer opportunities for boating, kayaking, tubing and especially fishing. Our waters are home to numerous species, including bass, catfish, perch and our area is often referred to as the Trout Capital of Georgia. For those who prefer to spend their vacations in town, the city of Blue Ridge offers visitors a quaint little village, nestled in the mountains. Our area is known as the “Antique Capital” of Georgia, offering enthusiasts a shopping mecca full of treasures, just waiting to be discovered. There are also numerous dining options, a vibrant local art scene, several craft breweries, movie theaters and great spots for live music on the weekends. History buffs can take a historic walking tour of the town. 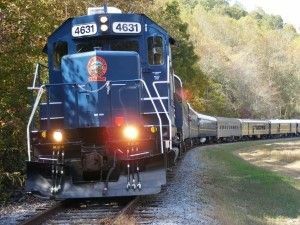 Take a rail adventure that you will never forget along the Blue Ridge Scenic Railway. The 26-mile, two-hour round trip winds its way through the mountains alongside the Toccoa River. Riders enjoy vintage, open-air rail cars and get to stretch their legs and take in the view with several stops along the way. Take a trip back in time while enjoying all the modern comforts of today. Enjoy your two-hour layover in the rustic mountain town of McCaysville. Walk across the “Blue Line” into neighboring state Tennessee, just one of the fun offerings of this quaint little mountain hamlet. If you are visiting during Easter, take the Easter Eggspress for egg-stra, Easter fun with a special Easter Egg hunt stop for the kiddos. 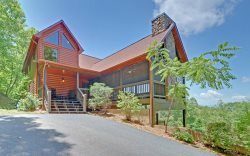 Start planning your spring break in Blue Ridge with Georgia Mountain Cabin Rentals today! Our fantastic spring break cabin rentals won't last long so call us today to book!